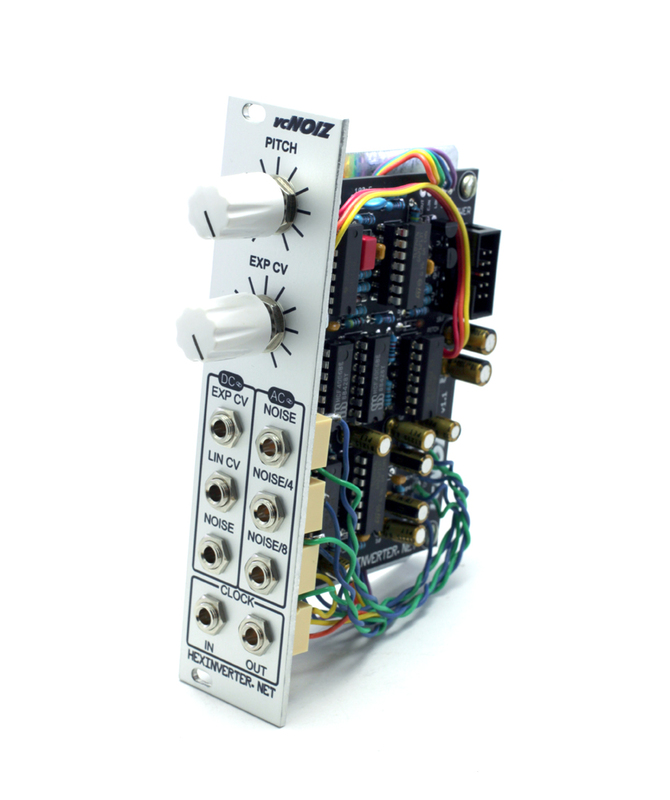 vcNOIZ is a unique exponentially controlled noise oscillator for analogue synthesis. 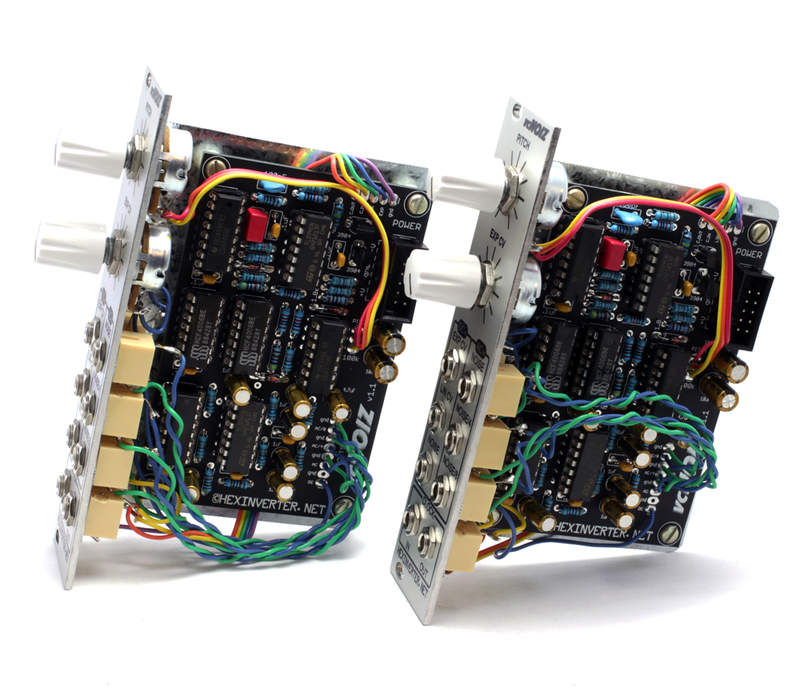 It creates absolutely crunchy sounding Commodore 64-esque noise. It is useful both as a pure noise oscillator as well as a random gate, voltage-controlled clock and even for use as hihats! Linear response CV input (-V to +V) -- great for audio rate FM, as the audio demo shows. It sounds positively gruesome!